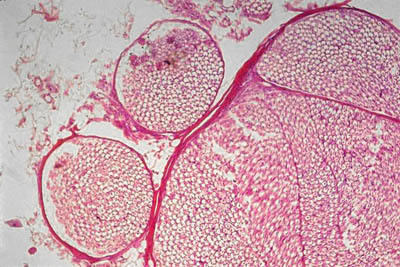 This histology slide is a transverse section of peripheral nerve. Bundles of nerve fibers (fasciculi) are visible. The outer conective tissue sheath, the perineruium, surrounds each fasciculus.